Isabella Bruni is a senior journalism major with a minor in Italian and International Studies. 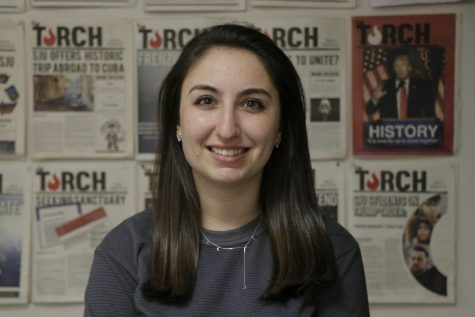 Isabella hopes to maintain the Torch’s vast news coverage and increase its online presence all while focusing on managing the business side of the newspaper and building relationships with advertisers. She has been part of the Torch since her freshman year starting as a copy editor, becoming chief copy editor her sophomore year and then news editor her junior year.